AHSS is honored to have earned an Award of Distinction from the BHCOE. 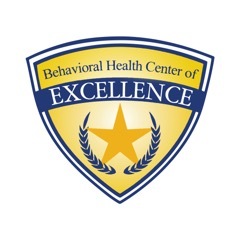 AHSS is proud to announce our Accreditation from the Behavioral Health Center of Excellence. The award recognizes Autism Home Support Services as one of the top ABA service providers nationally based on the quality of its clinical services, staff qualifications and satisfaction, and consumer satisfaction. The Behavioral Health Center of Excellence accredits only service agencies that meet elite standards. Its certification is based on an extensive audit that includes systematic measurement and reporting of quality criteria using standardized methods and practices in the behavior analysis community. The Behavioral Health Center of Excellence is a trusted source that recognizes top-performing behavioral health providers. BHCOE offers a third-party measurement system that differentiates top services providers from exceptional services providers. The BHCOE Accreditation process is designed to encourage, support and recognize exemplary behavior service providers who utilize evidence-based practices, create quality internal systems to promote high staff satisfaction, high client satisfaction and positive outcomes for those they service. For more information, visit http://www.bhcoe.org/.